CFBDynasty ranks the top 10 defenses for the 2018 College Fantasy Football season. These are our projected rankings for the 2018 season which are certain to change multiple times before our final college fantasy rankings before the season begins. 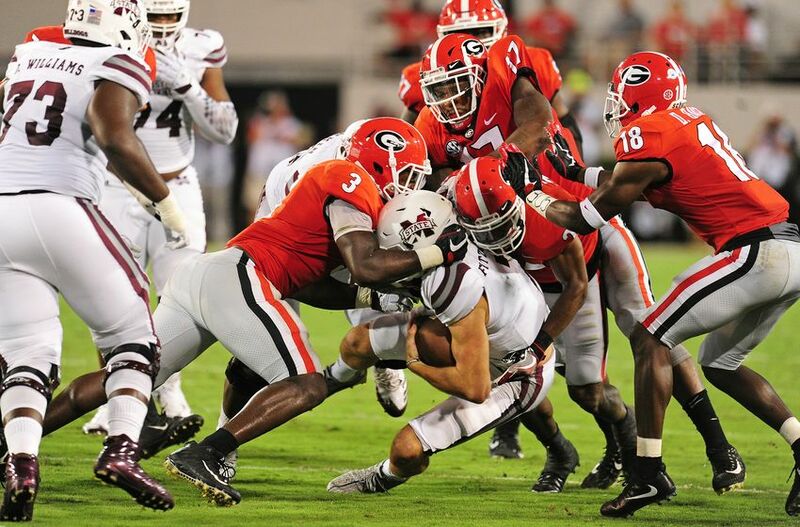 The 2018 Bulldogs will be without all four starting linebackers from the postseason, three and perhaps four members of the secondary and two key defensive linemen. Much depends on the status of Natrez Patrick, a junior who has battled off-field problems, and who missed the Rose Bowl and National Championship Game while receiving drug treatment. Patrick is a starting inside linebacker, if eligible, but that’s not clear right now. Georgia is also ranked in the top 10 for defensive backs by Athlon Sports. The stud Defensive back for the Bulldogs is Deandre Baker who is a straight up stud. He is a lock – down at cornerback and expect him to make a big impact fantasy heads. The Georgia defense is a solid pick for your fantasy team. No one talked about LSU’s defense as one of the nation’s best last season … but it was. The Tigers ranked inside the Top 15 in total defense and scoring defense and bring back the bulk of their starters behind the defensive line. Rashard Lawrence is the only returning starter along LSU’s three-man front, but those close to the program are confident Texas Tech transfer Breiden Fehoko and JUCO standout Travez Moore can create a solid 1-2 punch at end. 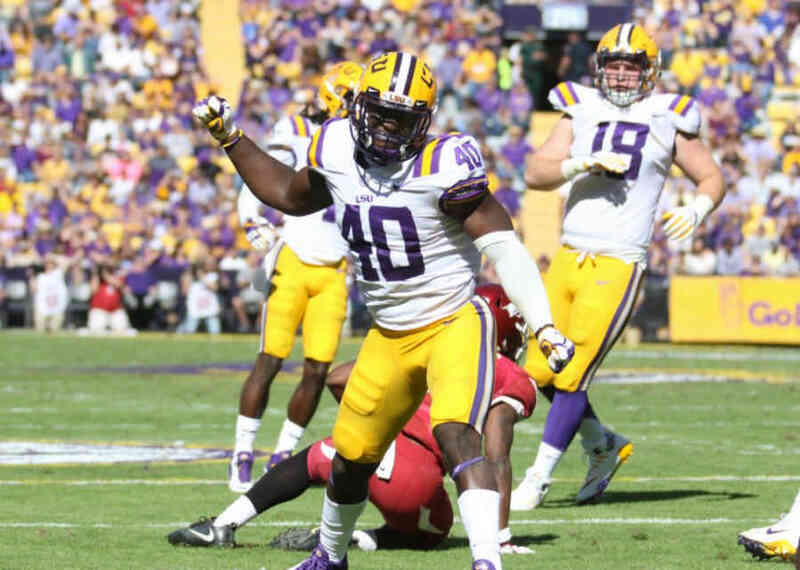 Linebacker K’Lavon Chaisson is a star in the making alongside LSU’s leading tackler from a season ago, Devin White. A handful of LSU football players detailed the Tigers’ first spring scrimmage of 2018 on Tuesday, with everyone agreeing the defense won the day. Which isn’t unusual. It’s almost always easier for a defense to install quicker than an offense, let alone an offense with a new coordinator. But there’s a difference between winning a scrimmage and dominating a scrimmage. And the early indications are the defense pulled off the latter. In 58 plays on Saturday, LSU’s offense didn’t score a single point. Yes. This can easily be a commentary on LSU’s offense not being ready yet. But let’s not ignore the talent on the LSU defense. And more than talent, LSU has depth. Plenty of it. Expect them to be a good fantasy pick for your squad this year. Good luck running on the defensive line of Boise State. Colorado State was able to run for 261 yards and five scores in the wild shootout – a Bronco win – but no one else hit the 200-yard mark on the ground. It was possible to score on the Boise State D line, but the yards weren’t there. The front three around David Moa will be special. The Boise State Broncos find themselves returning a loaded roster on the defensive side of the ball for the 2018 campaign. 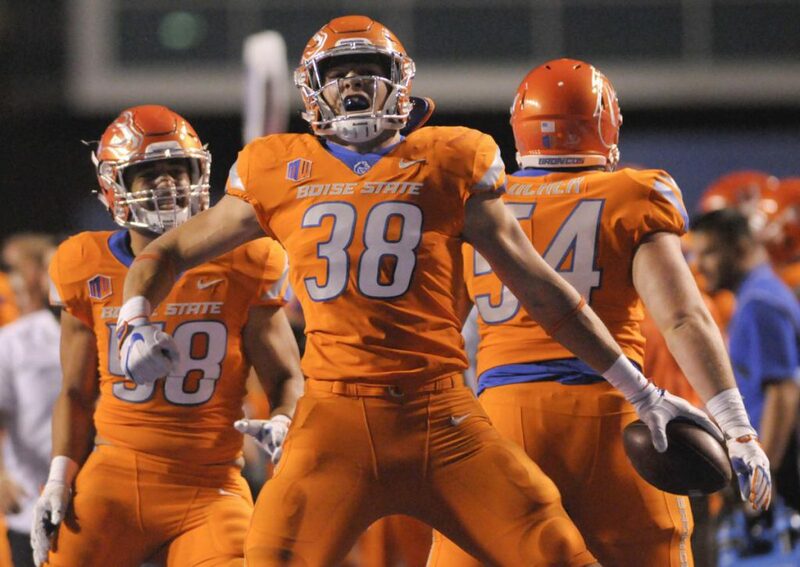 Despite the loss of Mountain West Conference defensive player of the year, the Broncos defensive unit should be a good one and one you want to keep a close eye on for your fantasy draft. The Florida Gators next season will take the field with a brand new head coach in Dan Mullen, a new defensive coordinator in Todd Grantham and very likely a new 3-4 defensive scheme. However, a lot of the players that will form that defensive identity are already on the roster, with the Gators returning a majority of its youth-laden defense for 2018. Positions and roles may change, especially in the front seven, but a lot of faces and talent will still remain. David Reese, who will head into his junior year, is the most proven of the bunch after coming off a season with a team-best 102 tackles and 10 tackles for loss. He will fit fine as one of two middle linebackers in a 3-4 scheme. Jeremiah Moon has the athleticism and coverage skills to play as a hybrid outside linebacker/edge rusher, but he still has room to grow. 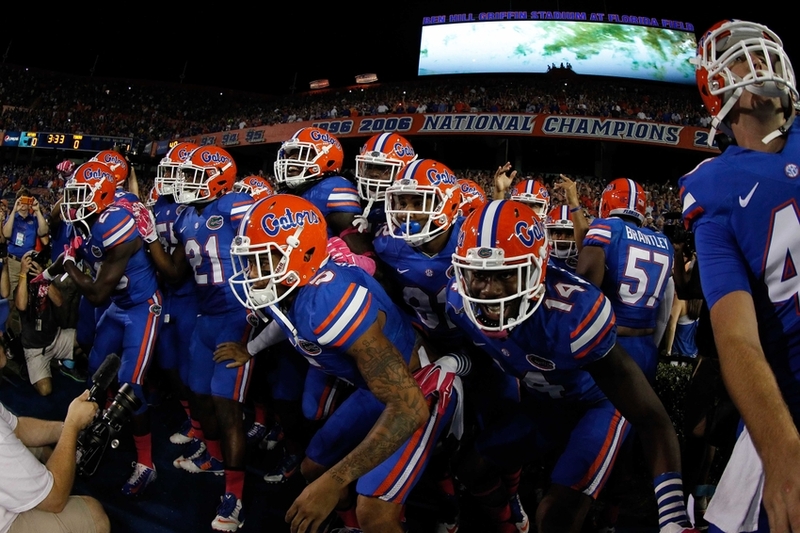 Gators will be a great steal for your fantasy team and should bring you points. Do not over look what there defense can do in 2018 and look for there fantasy stock to rise. The story of Auburn football’s A-Day spring game last Saturday was one of defensive dominance — something that would have sounded unrealistic just a few seasons ago. But with Auburn’s first-team defense making the team’s second-team offense go backwards more than it went forwards, the unit hasn’t shown any drop-off from finishing in the top 15 nationally in yards and points per game allowed last season. And, to hear it from Auburn’s defensive players, the benchmark for success is much, much higher for 2018.“We’re going to be top 10 this year,” junior defensive end Marlon Davidson said. “We’re going to be top 5, maybe even top 1. That’s how we feel. That’s how we’re going to carry it.” Auburn is a great pick for your fantasy team and without a doubt will get you some points. 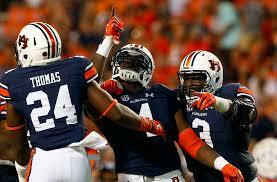 Auburn will be a great healthy pick for your squad. 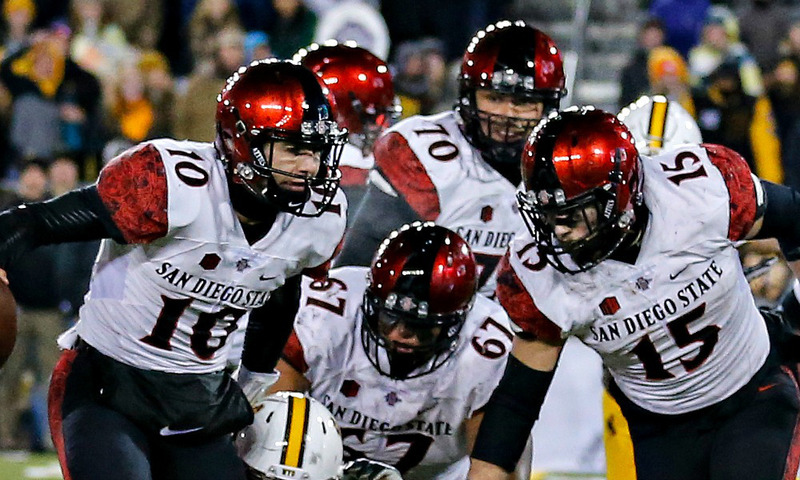 By SDSU’s standard, the defense slipped a little bit last year — after ranking 26th in Def. S&P+ in 2015 and 24th in 2016, 38th doesn’t sound quite as awesome as it should. With youth an issue, especially in the secondary, Long and coordinator Danny Gonzales played things a little safer, opting for a little less aggression and a little more big-play prevention in the back. The Aztecs allowed fewer 20-yard passes per game but more 10-yarders, and thanks in part to the loss of their four best havoc guys in the front six, the sack rate fell a bit, too. Returning personnel suggests we’ll see a rebound in 2018. Gonzales left to become Herm Edwards’ coordinator at Arizona State, but Long promoted linebackers coach Zach Arnett, and, well, this is Long’s defense. SDSU is going to contain run games and attack the pass. Expect a more aggressive defense in 2018 which will force opposing offenses to make quick decisions which ultimately can mean a lot of mistakes leading to a lot of points for your fantasy team. San Diego State is a safe pick for your fantasy draft. For the 2018 Ohio State defensive line, less might be more. The 2017 group was one of the most talented defensive lines in program history. Defensive ends Sam Hubbard, Tyquan Lewis and Jalyn Holmes will be taken in the upcoming NFL draft, and all will likely be off the board after three rounds. 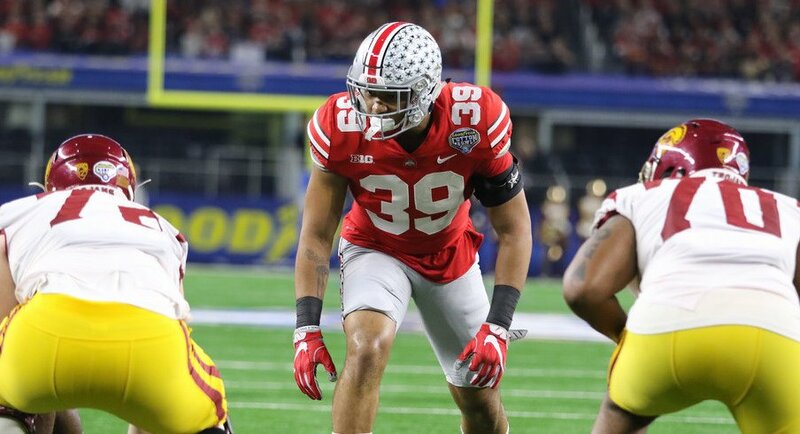 Fellow Ohio State defensive ends Nick Bosa and Chase Young look like future top-10 overall picks, and defensive tackle Dre’Mont Jones could be a first-rounder. Lewis and Bosa won the past two Big Ten Defensive Lineman of the Year awards. Losing three high-value ends as well as a pair of fifth-year defensive tackles, Michael Hill and Tracy Sprinkle, seems like a big blow. And yet it seems possible — perhaps even likely — the 2018 Ohio State defensive line will be an improvement. The difference between 2017 and 2018 could be more reps for the top-end talent that remains. Nick Bosa is an elite pass rusher, likely destined to be a top-5 pick like his brother, Joey, was. But he was splitting reps evenly with the three upperclassmen. Chase Young looks to be a similar talent, racking up 3 1/2 sacks in 2017 despite being mostly limited to late snaps in blowouts because of the older players in front of him. Those players, along with talented junior Jonathon Cooper, should see their snap counts increase in a way that’s more efficient for the team. They’ll still be getting rest in blowouts, but they won’t be on the sidelines as much when it matters. The Ohio State defense will be awesome this year. Ohio State always has to much talent and play makers to not pick them for your fantasy team. Clemson defensive coordinator Brent Venables is known as a perfectionist and believes that his unit still has a ways to go to get to where it needs to be.Tigers defensive back K’Von Wallace agrees that there is still work to do, but the Virginia native was not shy about what he expects from the Clemson defense in 2018. “I feel like we’re the best defense in the country, hands down,” Wallace said following Monday’s practice. “We’ve got a lot of amazing players back, and I feel like we’re going to be in the top categories, all the categories on defense. Just only getting better, and it’s a scary sight to see.” This is simple fantasy heads if they are available pick them. Great pick for your team. 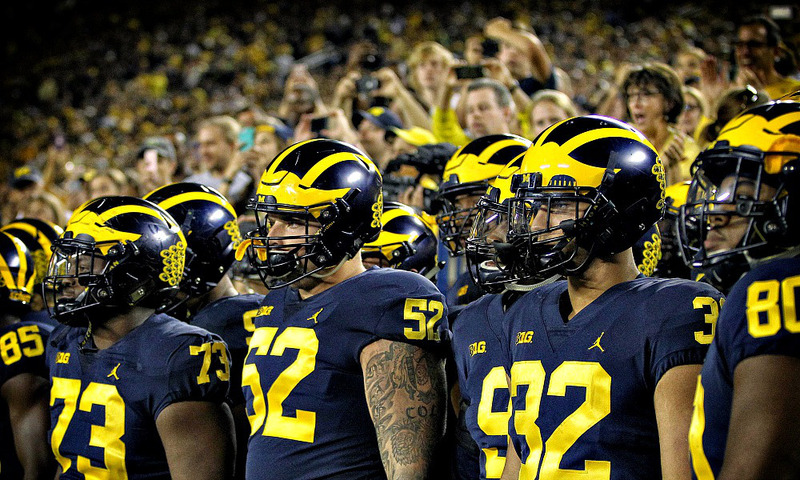 This year the Michigan Wolverines are deep on defense. The Wolverines lost just two starters off a 2017 unit that finished No. 3 nationally in total defense. All-American linebacker Devin Bush Jr. is back. So is Rashan Gary. So is Chase Winovich. And Khaleke Hudson and Lavert Hill. And an entire second unit. Maybe even a third. The front seven is overloaded with depth and budding talent both Brown and defensive line coach Greg Mattison adore. Michigan’s front four should once again be able to go eight deep, with Gary and Winovich serving as the top players at defensive end. Aubrey Solomon, Michael Dwumfour and Bryan Mone will take space in the middle. The Michigan defense is a must have for your fantasy squad. Do not hesitate take them they should be off everyone’s fantasy boards quick. The Alabama lost some players to the 2018 Draft, but hey this is Alabama and they have players ready to step up and will make an impact. Although Rashaan Evans and Shaun Dion Hamilton are both gone, the inside linebackers will have plenty of experience for the spring. 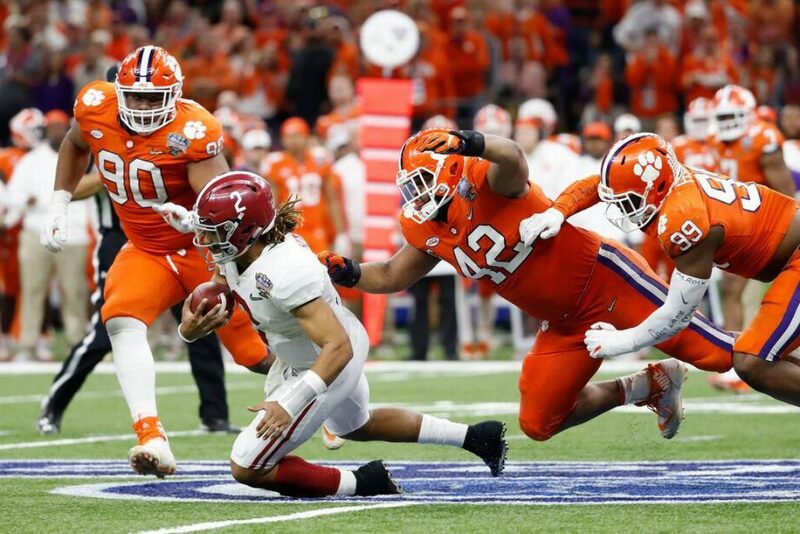 Mack Wilson and Dylan Moses seem like the top candidates to lead the position group and defense into another title defense, while players like Keith Holcombeand Joshua McMillon provide veteran depth behind them. Speaking of veterans, the outside linebacker line will be littered with them, as all four players that saw starts will be back — Christian Miller, Terrell Lewis, Anfernee Jennings and Jamey Mosley — are back The former returned to full health in time for the playoff and should lead the position this Fall. 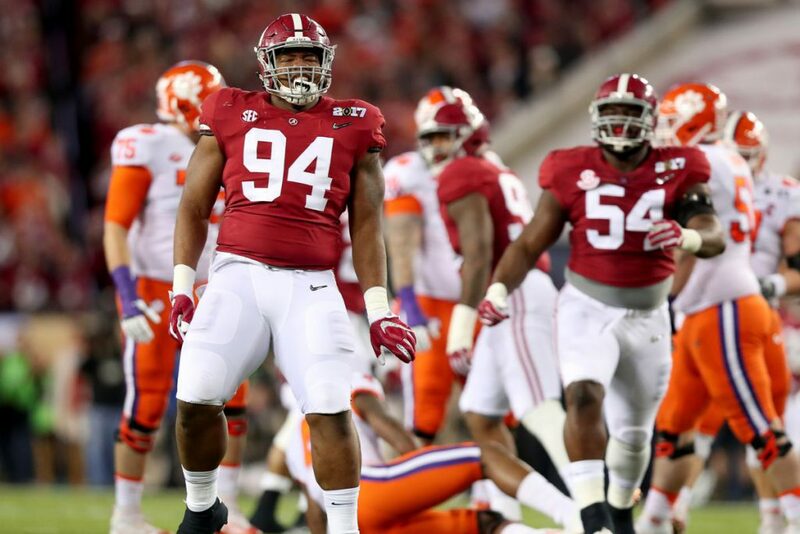 Alabama rounds out my top ten defenses and are my number one favorite. Do no wait take them, they will put up points for your fantasy team.